If you’re like most real estate agents, chances are you have at least started to build a presence online. More and more agents understand the need to have a website or blog — it is your virtual storefront. More than half of homebuyers start their home search online. It’s clearly important to have a website (storefront) for customers to enter and browse (figuratively speaking). Your website or blog helps you capture natural traffic, i.e., people looking for an address, a neighborhood, a golf course home, and so on. The concept is similar to consumers seeing an intriguing new store in a favorite shopping center, then going inside. They may browse around, find something they enjoy, and give you their information or make a purchase. You’ve heard the saying “location is everything” — and it really is, but what if you’re not getting that natural traffic? If business isn’t pouring in, then it’s time to start advertising. In order to make the highest return on investment, you want your advertising to be as targeted as possible. You should target not only the demographic but also the service you are promoting. Human beings are a lot more likely to make purchasing decisions or give out personal information when they are not overwhelmed by a large number of choices and when you make the process easy for them. Recently, a colleague of mine saw a limited-time offer in a Facebook ad and was intrigued. She saw that season passes were 40 percent off at a local ski resort, and she thought she’d found El Dorado. Sadly, this is where the ad took her. 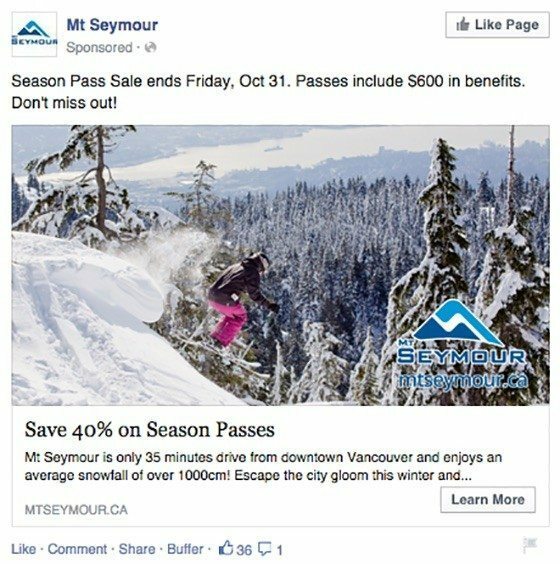 Landing on this page after clicking a Facebook ad for 40 percent off a season pass leads to a broken heart. Cold, lost and alone. There’s not a single hint of a season pass here, just a bunch of distractions. You can’t expect a prospect to behave how you’d like if you send them to a page that doesn’t acknowledge where they came from or what they hope to do. Don’t do this with your real estate social media campaigns. Instead, send visitors to a dedicated landing page. If you’re promoting your service or listings on social media, then there is no reason to send people directly to your home page! If someone clicks on your ad, they are likely looking for your service. So make it easy to find and use! For example, I run targeted Facebook ads to generate seller leads. I link every targeted ad to a dedicated landing page that continues the conversation that the ad started. I match the headline of my Facebook ad to the headline of my landing page, which tells the visitor that they are in the right place. I also keep a consistent design across all channels. 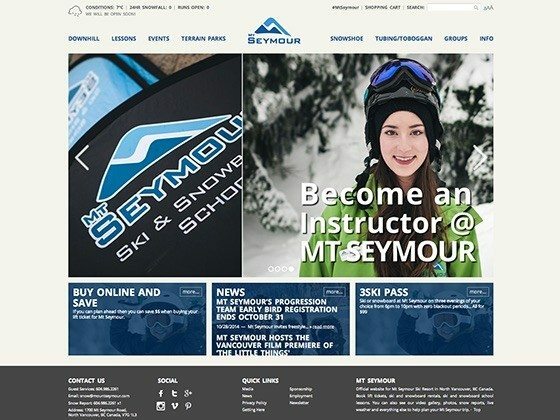 The design of the landing page is familiar to the prospect and has already enticed them to act once. Using this technique, I have seen a significant drop in my cost per lead throughout my businesses. Landing pages make all the difference in social marketing. What’s your favorite way to farm leads from Facebook? 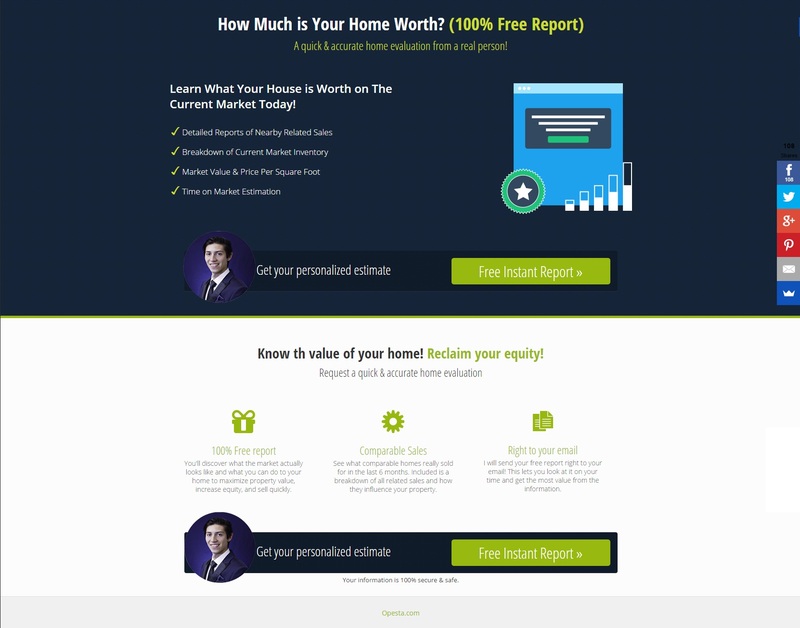 Have you experimented with using landing pages in real estate? Let me know in the comments — and remember that although the examples reflected in this article should apply to most of you, never assume results. Test everything! 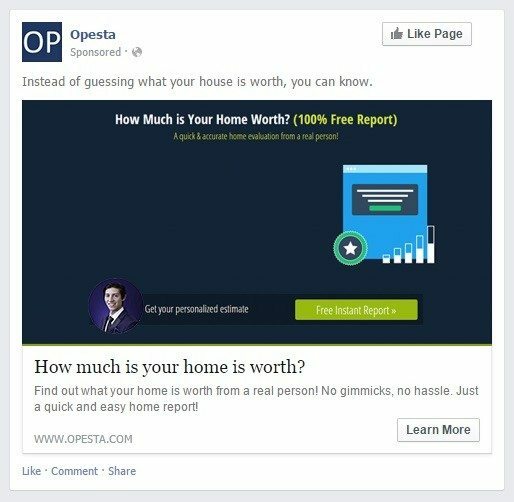 Next time, I’ll share my step-by-step guide for setting up real estate Facebook ads. Ethan Sigmon is the CEO of Opesta, and a licensed real estate agent and licensed insurance producer.